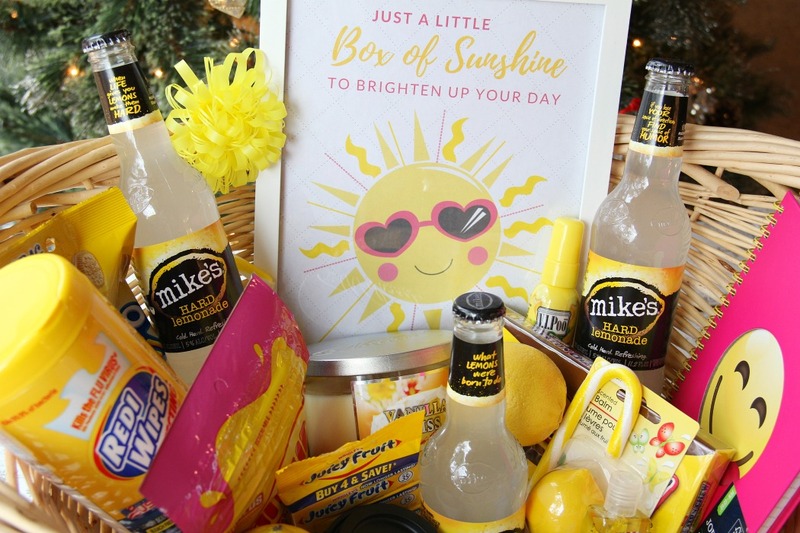 Box of Sunshine – Create a cheery box of “sunshine” filled with all kinds of goodies to make someone special smile. 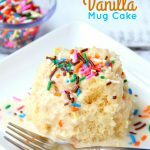 Comes with a free printable to include with your gift! 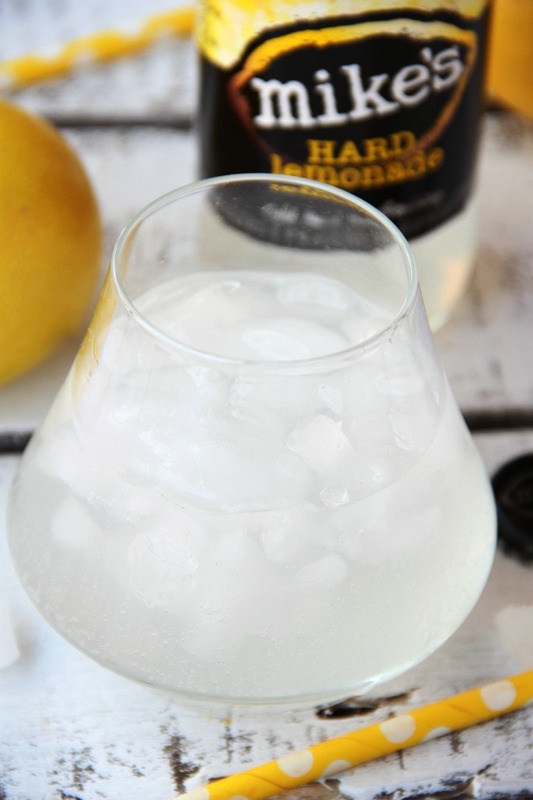 Mike’s Hard Lemonade sponsored this post, but the opinions are my own. 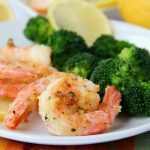 So, we’re pretty much in the thick of it. . .holiday season, and let’s face it, things can get a little stressful. 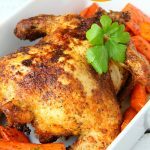 While the season is a magical one, there’s lots of pressure to get lots of things done, from trimming the tree and finding the perfect gifts to planning for guests and preparing a memorable meal. I know I’m not alone in this because I’ve heard time and time again from my closest girl friends that their days, just like mine, keep getting crazier and crazier. Our to-do lists continue to grow, but the number of hours in our days remain the same. That’s why today, I’m sharing the perfect gift idea for that family member or friend who might be needing a little pick-me-up or a reminder of how special they really are. Are you ready to create A Little Box of Sunshine?! Let’s do it! 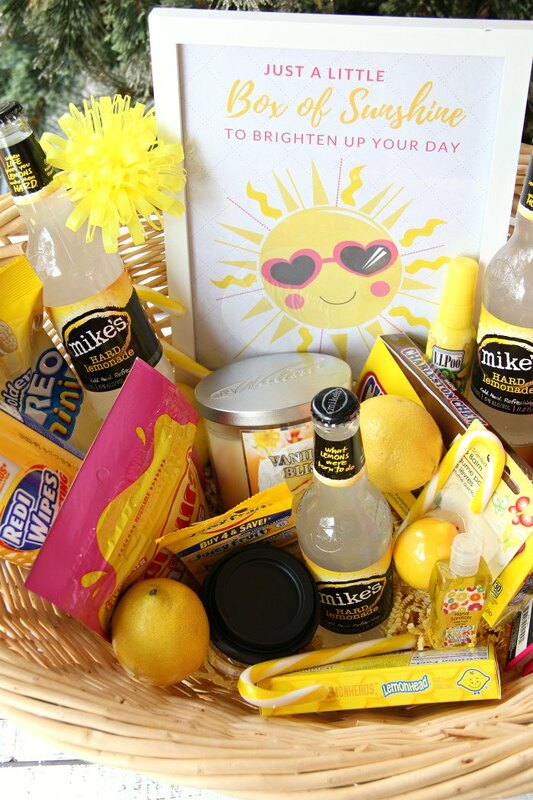 The inspiration for the box basket of sunshine I put together begins with a splash of lemonade fun! 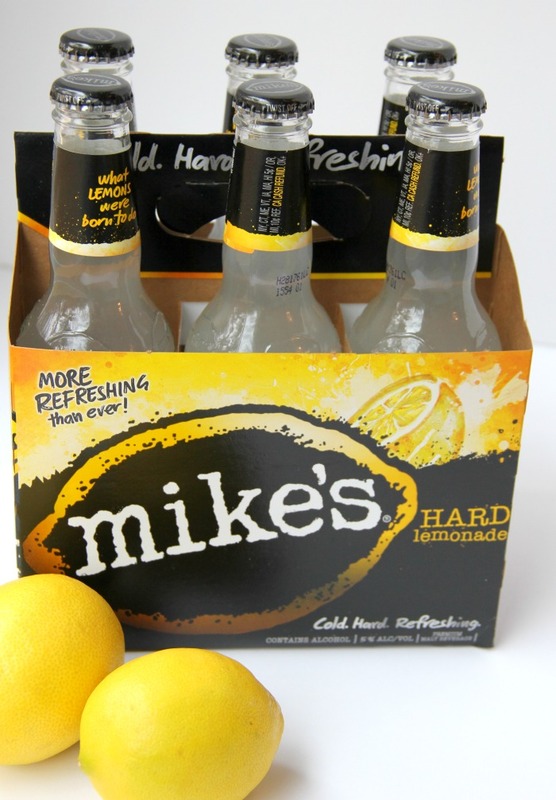 I’ll admit that me and my girlfriends drink our fair share of Mike’s Hard Lemonade up north at the lake in the summer. It’s so light and refreshing. 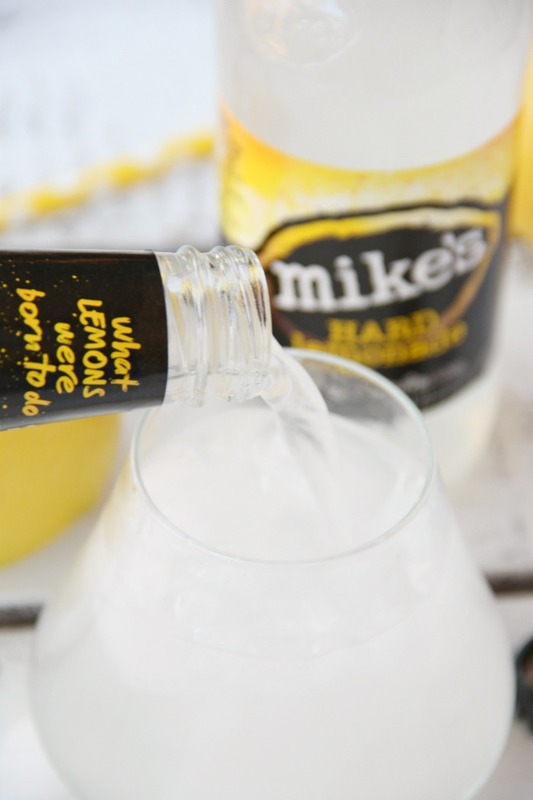 I mean, let’s be honest – a bottle of Mike’s Hard Lemonade in your hand could make the holidays a bit more bearable, wouldn’t you agree? So we’re “drinking on the bright side” this holiday season, and this great tasting hard lemonade is playing lead role in my box of sunshine. 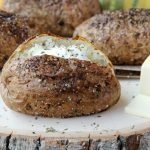 Let me tell you what. . .you’re going to have just as much fun picking out items for the basket as your special recipient will have enjoying it. Here’s where you get creative. You’ll want to fill your basket with happy, fun, YELLOW items. 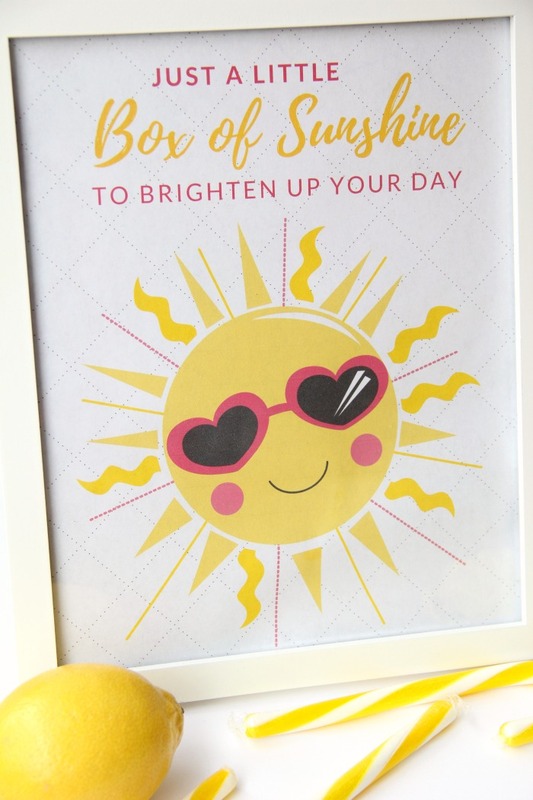 The Box of Sunshine printable is the perfect finishing touch to the Box of Sunshine. I printed mine out, trimmed it, framed it and placed it right in the basket with the rest of the items. 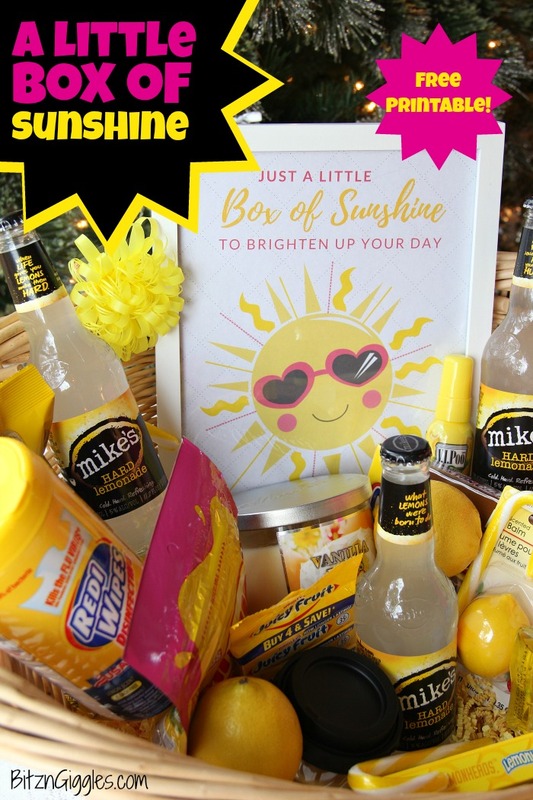 Download your Box of Sunshine Printable here! I think it brightens up the basket beautifully, don’t you? The one thing I know for sure is that in the midst of this busy and stressful holiday season, any of your girlfriends would be grateful to receive a basket like this. It really means a lot – the fact that you took time out of your busy schedule to think of them. It’s a big deal. So spread some holiday cheer this season with a little box of sunshine for your favorite BFF. 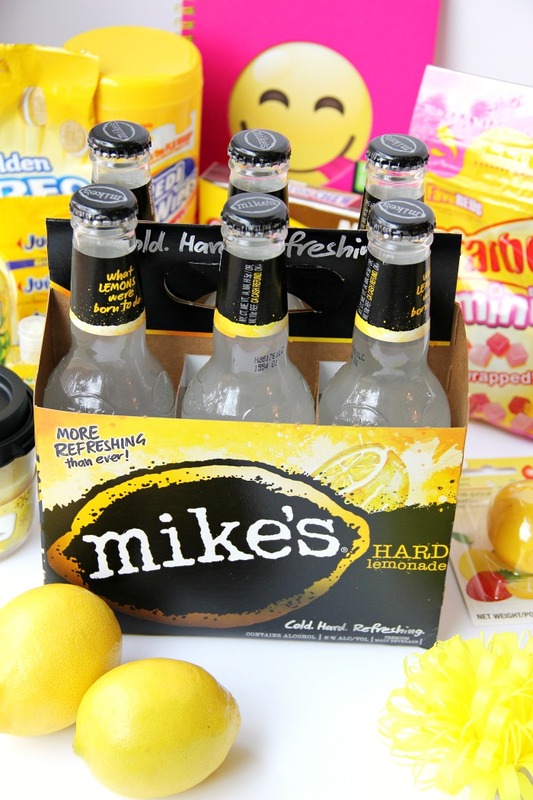 Oh, and don’t forget to save a couple bottles of Mike’s Hard Lemonade for you, too. Thanks, Joanne! It’s sure to brighten someone’s day!